Wishpond have produced a very informative infographic that tells us tha7 70% of people on Pinterest use the site to get inspiration on what to buy. That figure, when compared to the 17% of Facebook users who do the same, indicates the extreme marketing potential for the site. It is therefore imperative that you get your products on there, but, once you’ve done that, it is also of equal importance that those pins and products are discoverable by your potential customers. Your Pinterest SEO is therefore a top priority on your list of duties as a marketer. The search box on Pinterest is one of the most used tools on the network, and to ensure that your account and your pins and your pinboards are found by users and subsequently clicked upon, you need to be optimizing all of these things for the most relevant keywords. With Pinterest boards now even showing up on Google searches, there’s no time left to lose in getting the SEO for your business’s Pinterest account as super charged and optimized as possible, and below are some great tips for how to do that. 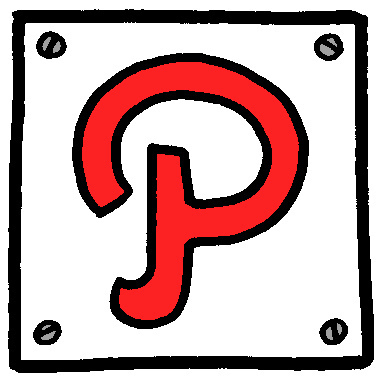 First, make sure your Pinterest account is visible to search engines!!! I put this point at the top of the list because if it is not implemented then none of the following advice will work at all. There is a switch that you need to flick in your account settings to make sure in the first place that search engines like Google can actually find your Pinterest account. Go into your account settings, look for “Search Privacy” and make sure that the switch is set to “NO”. This way you will now be discoverable on search engines. Phew. There is a 15 character limit imposed by Pinterest for usernames. Most likely, this won’t be a problem for you as you will probably be using your business name, or possibly mimicking your Twitter or Facebook name. In fact, doing this is advised, so as your followers on other social sites can easily find you on Pinterest too. But, if the 15 character limit means that you are going to have to come up with something original, then just be sure that it relates to your brand, is easy to remember and is in no way too clever, arbitrary or just plain silly. If you’re in photography business, for example, the actual name of your company is Joe Blog’s Super Photography Business, then it is advised that your username would be something like “JBSPhotographyB”, which works especially well because you are getting in the keyword ‘photography’ as well as differentiating yourself from all the other Joe Blog’s out there. Next you want to focus on your About section. Here you get 200 characters to play with, so again you must be concise. But this space is where you will want to get in as many keywords as you possibly can, though again without being silly – you still want the thing to read well. You’ll want to try and get in where you are, what you do, and the key services you offer. It’s not too much like bad form to actually just list a few things – indeed it almost works as a certain style for account holders, though doesn’t really communicate very much towards your brand’s personality. So it’s a trade-off really. It’s best to have a specific business account if you are indeed a business on Pinterest. You get access to special features like analytics this way, and the likelihood is that there will be even more in the future. Some of the Pinterest business accounts are available for free, and they are every bit as simple to utilize as regular accounts. But you will be more discoverable as a business with a business account in the first place, so it’s best to set one up from the start. Pinterest also allows you to verify your website, which certifies that you are the owner of the linked-to website, which is great for validation when users find you. This is great for SEO rankings. Sites that have been verified are rewarded with little checkmarks in domain search results, which usually ensure that you get more traffic headed your way too. Always use a strategic use of keywords when setting up new boards. Never use common titles, as this only ensures that your pins and boards will be lost amongst all the others that are using the same ones as you. And this goes for your board descriptions too. Think from your potential customer’s perspective ­– what terms will they most likely be using when trying to find products or services like yours? Just like you would do on your website, you must keep your best content on Pinterest (i.e. your most popular boards) above the fold. By showing your followers your best, you are ensuring the biggest possibility that they will e clicked on, and that’s exactly what you want to keep increasing your Pinterest SEO. The exception to this is if you are running a special campaign – you will of course want this board to be seen by as many users as possible, so keep this one above the fold too. Good Pinterest SEO works in pretty much the same way and follows the same rules as any SEO. If you’re a marketer, then you will no doubt be able to feel your way around the best practices already, but just make sure that you are optimizing all of the channels on Pinterest available to you, down to the very last pin.